I’m rounding out the week with one more Transformers review. One of the more interesting and destructive Autobots on the original cartoon, I’m really surprised we didn’t get a figure of Wheeljack sooner in the Generations line. But he turned out pretty good, so I guess the wait was worth it. 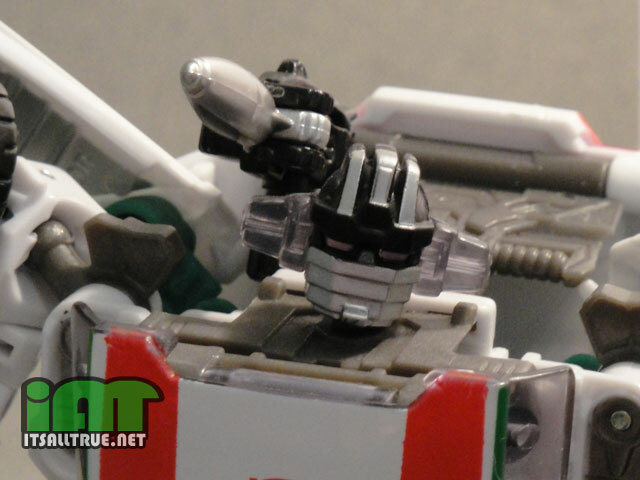 Wheeljack’s always been an interesting character to me. Built stout like a fighter with the brain of a scientist, he’s a bit of a contradiction. With how many times his lab blows up, you almost have to wonder if science is more of a hobby than a profession for him. His Wiki page even mentions that Wheeljack may have inflicted more damage on Autobot city than the Decepticons were ever able to. This leads me back to the idea that Optimus is the only truly sane Autobot. Something I’ve never been clear on is the blurry line between scientist, medic, and mechanic in the Transformers universe. We’ve seen both Ratchet and Wheeljack perform serious procedures on injured Autobots, but I’m not really sure what separates them career-wise. Is it that Ratchet is a professional with a degree from Cybertron U. while Wheeljack is more of an enthusiast? Even if they are basically the same, why would anyone volunteer to let Wheeljack operate on them? Just by saying yes their chances of exploding go up substantially. I’ve always loved Wheeljacks design. Sure it’s similar to the many other car-formers, but he has some really unique flares that make him stand out from the pack. First off are his wings. A lot of Autobots have doors that sit on their back like wings when their in robot mode, but Wheeljack’s actually look like wings. Combine that with his ability to “fly” using his booster jets and you get the feeling that he may be a car by design, but he’s an Aerialbot at heart. Wheeljack’s most unique feature is his head design. I don’t know why his ears light up when he talks, but I’ve always loved that about him. Pair that with the fact that most of his face is covered by a segmented mouth guard and you have this somewhat mysterious yet bizarre look. The figure captures this look dead-on. They even gave him light-piping so his ears and eyes can light up at the same time, which is a nice effect. Nice review. Glad you like Wheeljack as well. Thanks. He turned out nice, so it’s hard not to like him. In CA at least, this guy, Warpath and Thundercracker have been hitting Walmarts, some near the front registers. I think the Warpath wave has shown up in TRUs too, but I don’t know about the ‘Jack here. This one’s actually Noisy’s, but I think he picked it up at a local Walmart. We have five in our area and only one got this wave in. One thing that gets me is the difference in white plastic we get between Wheeljack, RTS Jazz, United Jazz and Generations Drift. Drift had the most faded white plastic, RTS Jazz was a bit less dull, Generations Wheeljack is a nice clean white, and United Jazz is BLAZINGLY white. As far as I know, none of them are painted white either, so I wonder what the reasons are and whether some will fade more. I don’t know, that’s an interesting question. Something we’ll also have to keep a lookout for is how much each yellows over time. 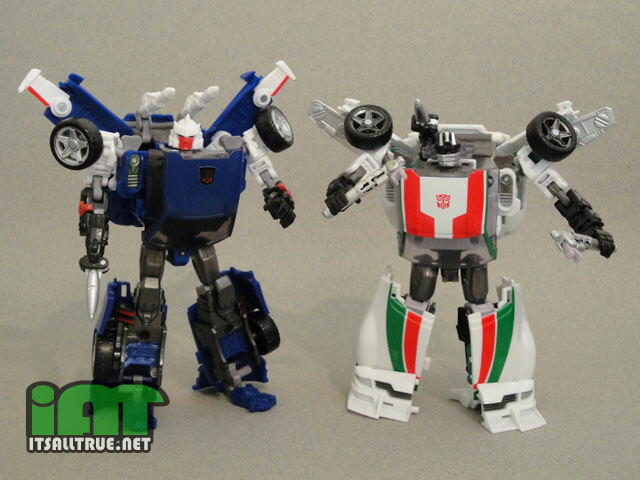 I would like to pick up Wheeljack, but I’m not so desperate for one I’ll pull a “No Matter the Cost!” online for one. Since Dark of the Moon toys seem to be choking the shelves, I’ll have to scope out the supermarkets and low-end Targets/Walmarts that don’t keep up to date (one benefit of such stores). A few weeks after DOTM toys hit, I found HFTD Scout Breacher in a grocery store. A nice little figure he is. Yeah, you also might want to check out TJ Maxx. I don’t know if they’ll be getting this wave, but I just picked up my Wreck-Gar from there. His head reminds me of the 70’s robot Jeeg. Your right! I wonder if he’s an homage to that? Considering that this is just a remold/repaint of tracks I can hardly believe how much better it is than Tracks – maybe it helps that I love the character whereas Tracks I am a lot more Meh! about….he was kind of annoying in the cartoon to say the least. I usually have a lot to moan about when it comes to Hasbro, but credit where it’s due I now have a pretty full roster of spot-on G1 TF’s thanks to the last year of releases and I can sit in my Ivory-tower with fingers in ears and pretend the Movieverse isn’t happening while marvelling at this guy, Jazz, Blur, Wreck-gar et al and generally feeling all is right with this corner of the Toy-World. More Generations please Hasbro…..I don’t want ALL my Mini-Bots to come from 3rd Party sources. Thanks 🙂 I think he’s better than Tracks too. I agree on the G1 stuff. It’s nice not having to buy just the movie stuff. I can’t wait until the Prime stuff comes out, that Arcee looks great. I figure that the difference between a transformers medic and an engineer is that the engineer can remove components, but the medic has to operate around the other systems. It’s just a matter of skill, and hence it is why Wheeljack can fill in in a pinch, even if the tendancy to make things explode would normally make Wheeljack shy away from the task. You may be right. Either way I think most of the bots feel safer with Ratchet doing the work, lol. Cool review, Vault — though I’m admittedly less interested in this figure since it seems clever but lazy to me. I don’t think Wheeljack has different thighs — I think they’re just flipped around — and I have no idea why Wheeljack is shorter than Tracks when they share so many parts. 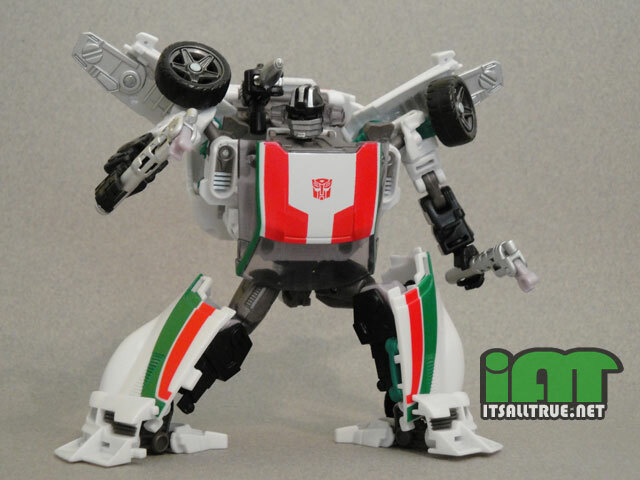 Even Tracks feels too short to me (mainly because of how the torso overlaps the crotch), so an even shorter Wheeljack just seems kinda… meh. You’re right. The thighs are the same, just turned around. It’s his lower leg that’s different. Tracks’ skeletal part is made to slide, while Wheeljack’s isn’t. Thanks for the correct. While l’m not a fan of Wheeljack, this figure is an outstanding modern interpretation of the 1980’s toy, & for that reason alone, he’d be a nice addition to my collection. If only the superior Japanese version wasn’t such a rip-off I’d own this guy (and many others) by now… Great review btw.